Rene Arnoux, driving a turbocharged Renault, won the Brazilian Grand Prix at Interlagos, with Elio de Angelis second for Lotus and new championship favourite Alan Jones back in third. The race had been in doubt because of safety conditions. 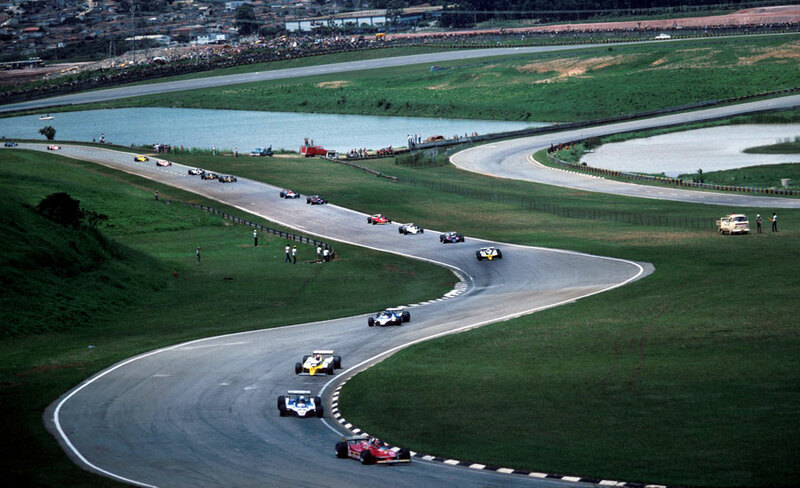 A heated meeting of the Grand Prix Drivers' Association a fortnight earlier in Buenos Aires ended with a motion condemning the Interlagos circuit as unsafe. But despite that, a boycott was avoided. "Certain young drivers have surrendered to pressure from their constructors who threatened to find replacements," shrugged GPDA president Jody Scheckter. The uneven surface remained a major gripe all weekend. Arnoux, in only his 20th race, fought his way through from the third row of the grid to take the lead on the 25th lap after his team-mate Jean-Pierre Jabouille, who had smashed the lap record in practice, spluttered out. He had enough in hand to ease off over the final laps to preserve his tyres. Gilles Villeneuve had made a flying start to lead early but within a handful of laps was experiencing problems with his Michelins, and while he did eventually finish, he was four laps off the pace. The Ferrari was fast, enabling him to make excellent starts, but handled appallingly. For the second race running two of the major players in the previous seasons, Carlos Reutemann (Williams) and Mario Andretti (Lotus), were eliminated in the early stages. It could have been worse. The Shadow team left South America without managing to qualify their cars for either grand prix.